When thinking of hotels in Croatia, luxury hotels doesn't really come to my mind immediately. 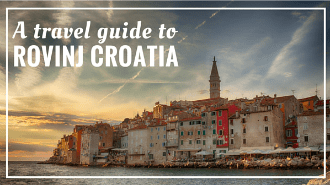 However, there are some luxury hotels in Croatia worth knowing about where you'll feel like a royalty. Our personal favorite luxury hotel, Monte Mulini, is located in Rovinj. Monte Mulini is a member of the Leading Hotels of the World, one of the largest luxury hotel collections in the world. All 113 rooms and suites are spacious and comfortable, with en-suite bathrooms featuring double sinks, walk-in shower and a bathtub. Each room comes with a balcony or a terrace. Hotel has a spa & wellness center with an indoor pool, a heated outdoor pool, and two on-site restaurants – Mediteraneo and the Wine Vault. Hotel beach is just few steps away. It's an exclusive beach club for hotel guests with locker rooms, sunbeds, and a beach bar. Next to Monte Mulini, you'll find a sister hotel Lone, owned and managed by the same Croatian hotel chain – Maistra. Lone is a 5star property but it prides itself more as being a lifestyle than a luxury hotel. Aimed at younger crowd, this 248 room property, is the first Croatian dedign hotel. It features a sleek and modern design, wonderful outdoor swimming pool, and a large spa & wellness area with an indoor pool. On-site restaurant L serves a fusion of Asian and Croatian food. In the old town Rovinj, we love a newly renovated Art hotel Adriatic. This small boutique hotel was refurbished in 2015 to the highest standards. Hotel features 18 individually designed rooms, a wonderful french brasserie and a bar. The entire hotel features a unique art pieces by world-renowned contemporary artists. Another luxury property in Istria worth a mention is the Kempinski Hotel Adriatic. 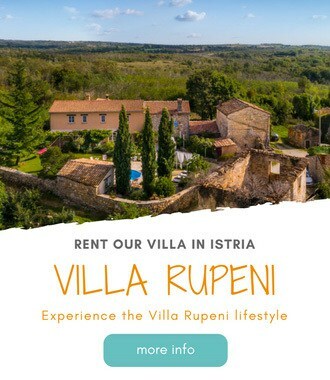 However, while this property has all bells and whistles that come with the Kempinski brand, its location in Savudrija makes it a bit unattractive for a stay in Istria. Located 15 minute drive from Split, hotel Le Meridien Lav, has 380 rooms and suites. And while it fearures really good facilities, like spa & wellness center, indoor infinity pool, a choice of restaurants and bars, almost a 1km long beach, and its own marina, this resort is way too large for our taste. Newly open, hotel Park, is the only 5star property in Split. It's a member of the Leading Hotels of the World. Located in a historical building dating to 1921, hotel Park features 73 rooms and suites, outdoor pool, a small spa & wellness area, a gym, a bar and a restaurant. The hotel is close to Split's popular Bacvice beach. There are also two small family-run hotels in Split's old town. While the hotels are officially 4star properties, their impeccable service and amazing location make up for a lack of real luxury. Hotel Vestibul Palace has only six rooms, and it's set in a building dating back to 4th century. Rooms are contemporarly-designed, but a bit small. Heritage hotel Judita Palace is set in the Pavlovic Palace dating back to 16th century. Rooms are spacious, well-appointed and elegant. Staff is super-friendly. In Dubrovnik, don't miss the Villa Dubrovnik. This small luxury hotel features 56 sea-facing rooms, a dramatic cliff side elevator, small spa, swimming pool, and a cozy rocky beach. Service is outstanding. Hotel Excelsior is famed for its location, right out of the city walls, with magnificant views over Dubrovnik city walls. The hotel features 158 rooms, spa & wellness center, indoor pool and a private beach. Last but not the least, Hotel Espanade in Zagreb was originally built in 1925 to provide rooms for Orient Express travelers. Esplanade hotel is located next to the central train station. It features 205 rooms, and a popular Le Bistro restaurant. Did you stay at any luxury hotel in Croatia? Do you plan to stay? Let us know in the comments bellow. Have a question? Leave it in the comments bellow.